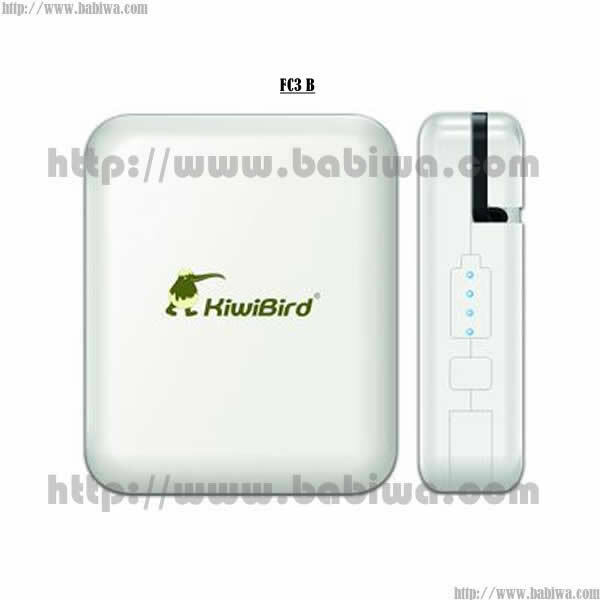 This listing is for Newest Released Q Kiwirbird Series FC 3-B Luxury Portable 1700 MAH Powerpack .Stand USB Voltage output with 30-Pin Dock Power-out Connector,Best for Apple Iphone and Ipod Series ,also supports most of Universal Digital Devices(Only 30-pin apple dock connector provided in the package, you need to have your own charger cable with other types of connectors). 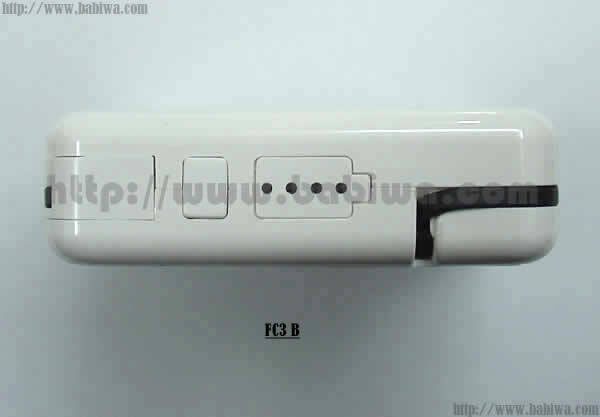 We also have Type No. 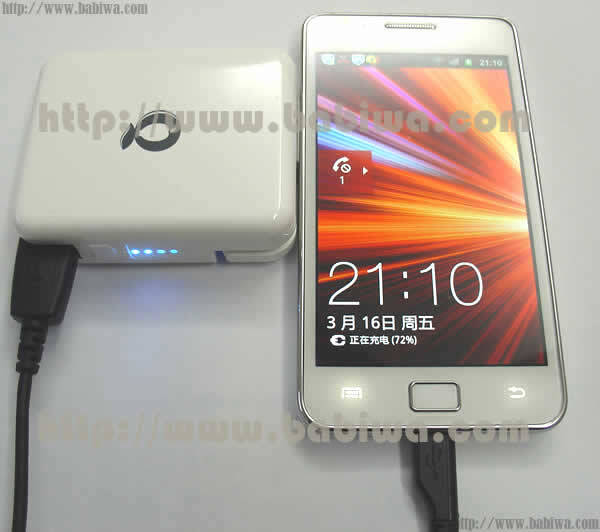 FC 3 A,Another Product,Almost same design and function,but with 1400 MAH Powerpack. 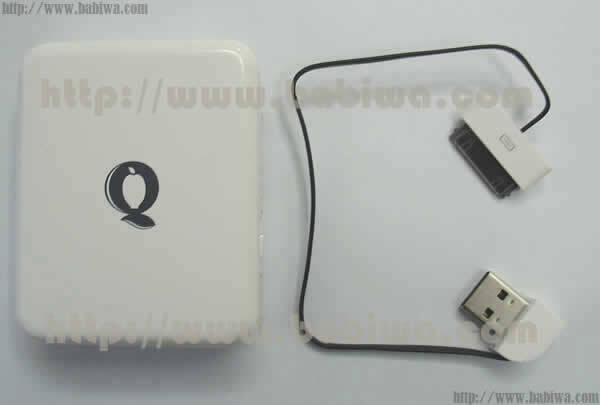 Powerpack comes With Built-in high capacity 1,700mAh polymer lithium battery.Fashionable and Cute Design ,So Convenient to Carry anywhere and anytime. 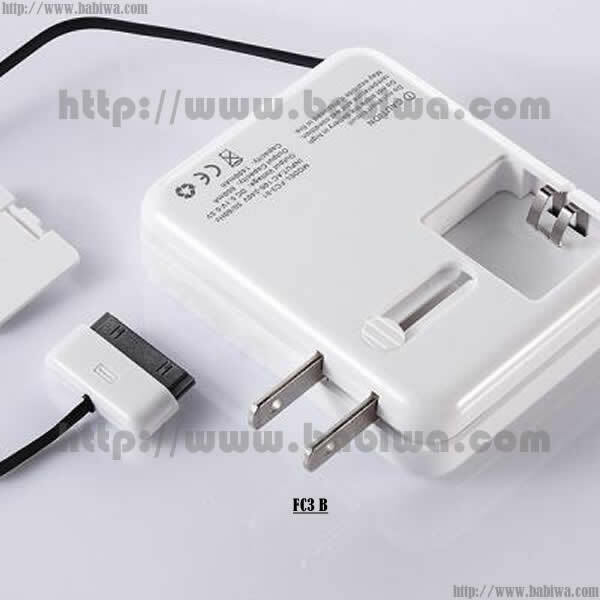 if you get your own USB charging cable,you could connect to this powerpack and charge your universal digital products(5V/1A Power Out). 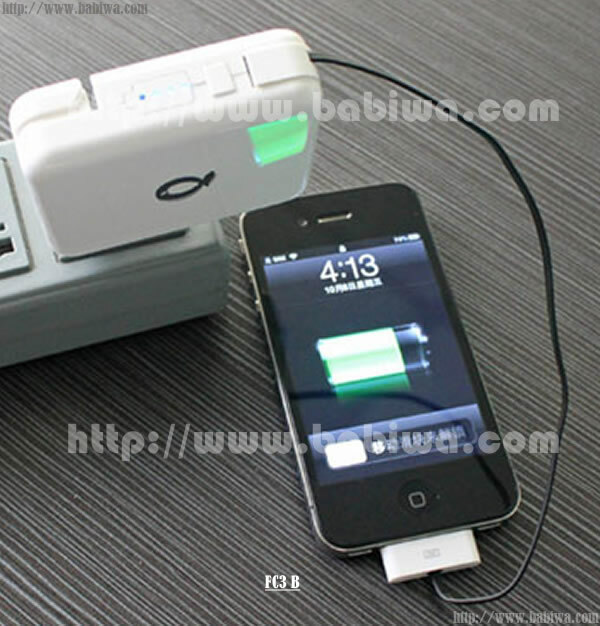 (1) How to charge this 1700mAh Powerpack. 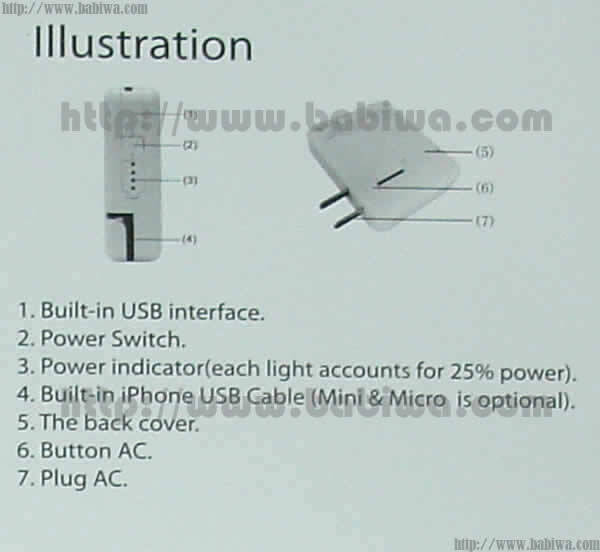 if you get your own USB charging cable,you could connect to this powerpack and charge your universal digital products as Audio/video/Game Players...(5V/1A Power Out).